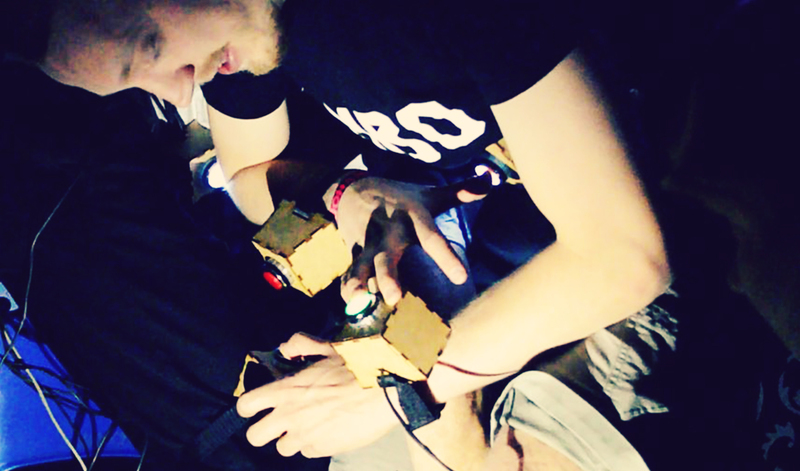 Adsono is a cooperative game for two players based on a wearable controller: five wooden boxes connected to a bigger sixth one clipped to a belt. 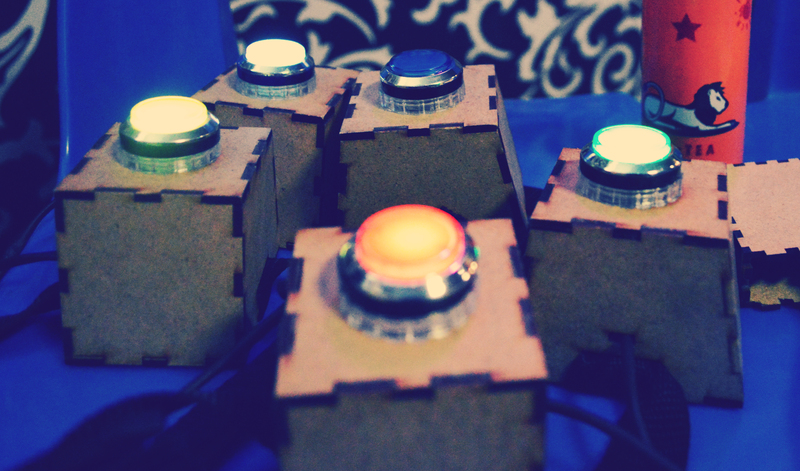 Each of the five casings are fixed to a strap and features an arcade button and a LED. Buttons are buckled up on players' body: one on each arm, one on each leg and one on the stomach. On game launch, four buttons light up, two on each player. 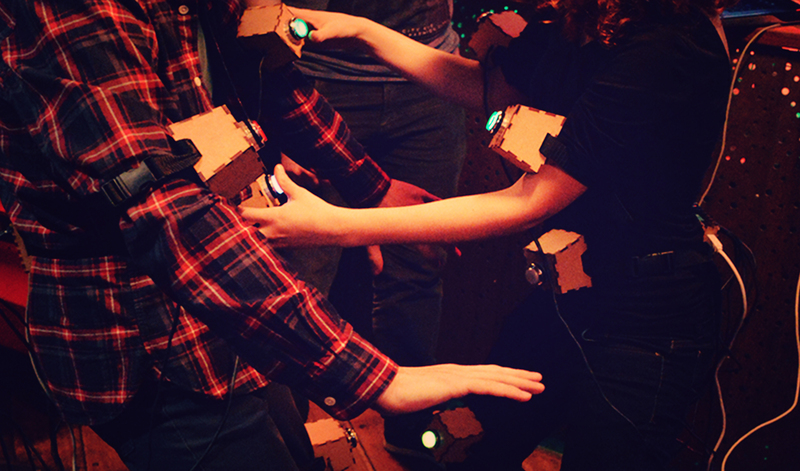 Their goal is to press all of their partner's lit buttons simultaneously using any body part - hands, knees, feet or nose - as a countdown increases the pressure. The game features six levels with more and more buttons glowing, challenging players' balance.